There is no question the Nikon D800/E is a spectacular camera. But just how well does the D800 stack-up against the venerable Nikon D3s? 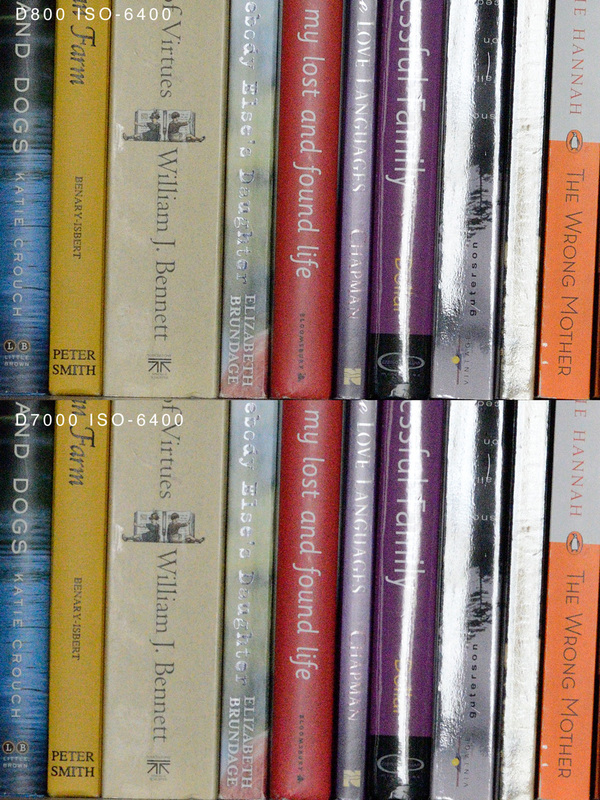 What about in DX crop mode; how well does it fare against the D7000? We now know the new Nikon D800 has a bad case of multiple personality disorder. The D800 is several different cameras, rolled-up into one very sleek and attractive body. 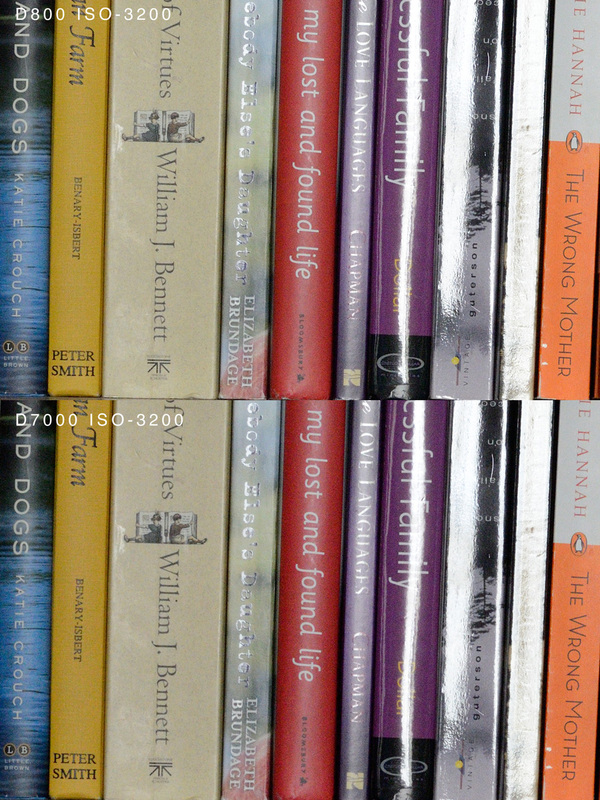 Let's examine just how well the D800 performs when down-sampled to 12.1 megapixels to match the un-defeated high-ISO king, the Nikon D3s. In addition to this comparison, we're also going to put the Nikon D800 against the current APS-C DX crop champion, the Nikon D7000. 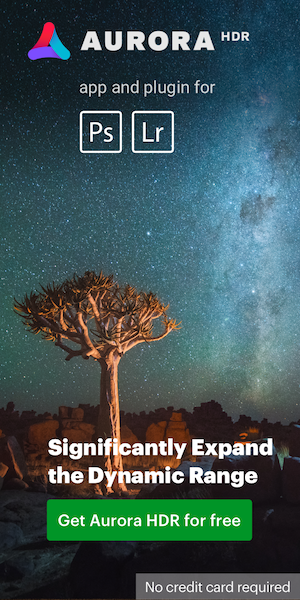 The D800/E is capable of achieving amazing amounts of detail at its native resolution of 36.3 million pixels. This is great for studio and landscape work or anything that warrants this kind of resolution. However, the final output doesn't always need to be the native resolution of 36.3 MP. What we've found is the D800 has excellent Dynamic Range combined with excellent high-ISO noise characteristics, giving us the ability to down-sample when need-be, while retaining all of the high-frequency detail captured by the high-resolution sensor. We know that down-sampling an image helps to reduce noise (especially luminance noise), so we reap the benefits of lower noise and better detail, while retaining the D800's excellent Dynamic Range (DR) when down-sampling. A down-sampled image that has more high-frequency detail is a better candidate for noise-reduction via software (Lightroom 4, Topaz DeNoise...etc) and can handle more aggressive noise reduction, while still retaining high-frequency detail that's usually lost during aggressive noise-reduction. For this comparison, we shot both cameras at the same respective exposure, ISO, aperture and white balance and set both cameras to the "STANDARD" Picture Control with no additional capture sharpening, contrast, brightness, saturation or hue. Both cameras were shot in RAW(NEF) format and developed into a high-quality 8 bit JPEG format using Capture NX2 with zero High-ISO Noise Reduction. 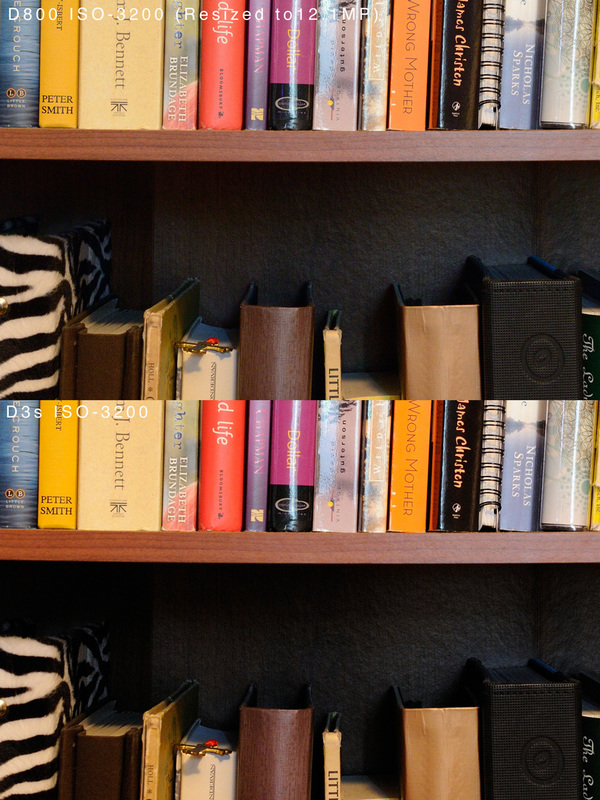 The D800 shots were then opened in Photoshop and down-sampled using Photoshop's "Bicubic Sharper" algorithm to 4256 x 2840 px to match the D3s' native resolution. No other sharpening was performed (click on any image to enlarge it). 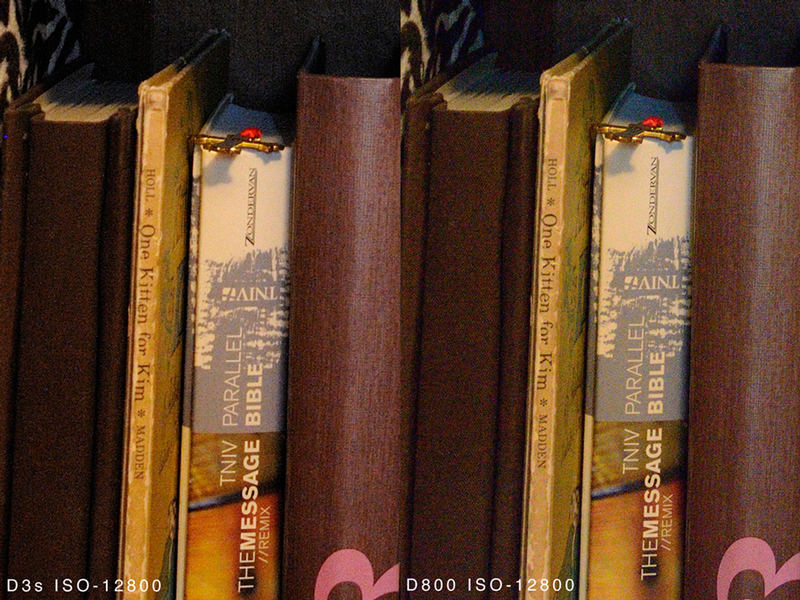 As you can clearly discern, the D800 image retains much more high-frequency detail throughout the ISO range. The D3s does beat the D800 in luminance noise by about a third-stop, with chrominance noise being significantly worse in the D800's files above ISO-12800. As stated above, the D800's file can handle much more aggressive noise reduction, while retaining much of its detail, which will result in a better overall file than the D3s until about ISO-25,600. At this point, the D800's files are riddled with amp noise which is destroying most of the high-frequency detail advantage it had over the D3s, making the D3s a better option from ISO-25,600 and up (The only way the D800 can go above ISO-25600 is by "pushing" in post). While the D800's DR is supremely impressive at base ISO (ISO-100) to about ISO-800 (about 14.3EV @ ISO-100), it falls off at higher ISOs. This is where the D3s shines; the D3s has less DR fall-off at upper ISOs, but several stops less DR at base ISO as compared to the D800. While the D800 doesn't quite beat the D3s in high-ISO noise handling when down-sampled to 12.1 MP (without noise reduction), the D800 will clearly out-perform the D3/D700 sensor in noise, sharpness, detail and DR, at every ISO, when down-sampled to the same resolution of 12.1 MP. 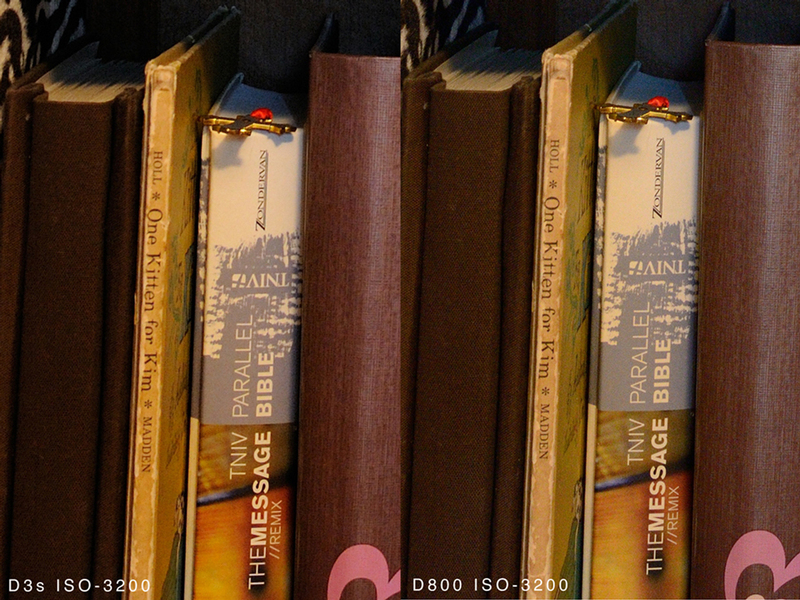 Let's look at a different set of D800 vs. D3s crops, this time focusing on the high-frequency detail in the books on the bottom shelf. Once again, you can clearly see the high-frequency detail advantage the D800 has over the D3s, when down-sampled to 12.1 million pixels. 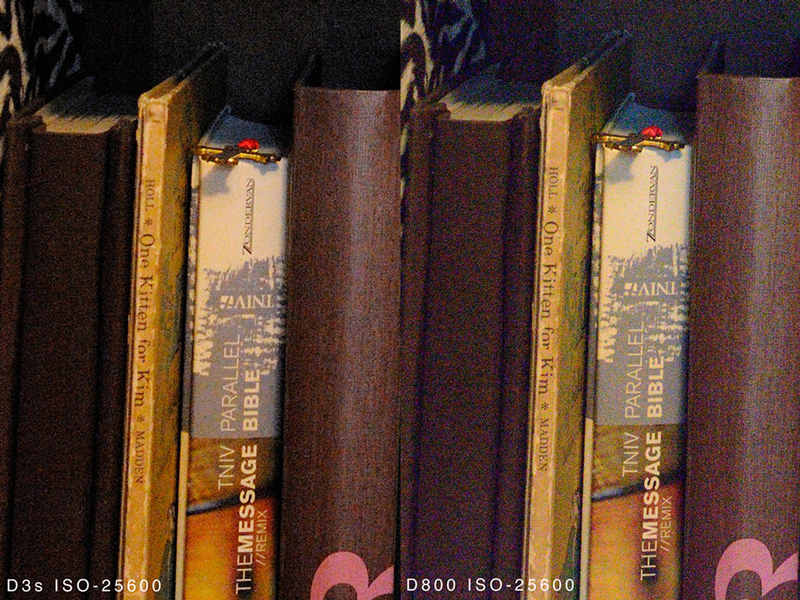 Look at the dark brown book on the left side of each crop; the D800 clearly renders the detailed fabric cross-hatching @ ISO-12800 and can just barely be seen @ ISO-25600. 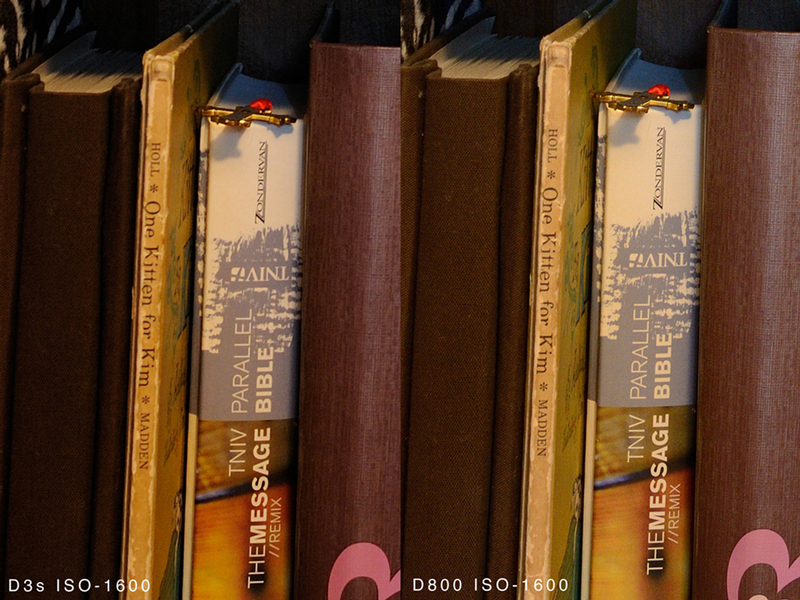 The D800 files are sharper and retain more high-frequency details at every ISO. 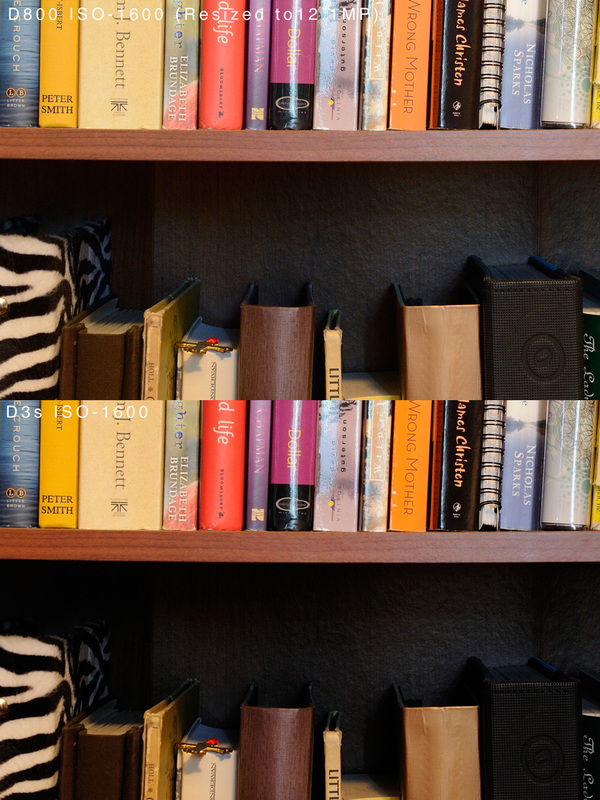 While the D800/E is 36.3 MP in FX mode, the D800/E has a DX (1.5x crop) mode, which is 15.4 MP. The Nikon D7000 is a 16.2 MP APS-C DX format camera that currently sits atop the APS-C camera heap, having the best performing APS-C sensor in the world, based on the Sony Exmor 16.2 MP sensor (this 16.2 Sony Exmor sensor is used in several other cameras on the market). Since the D800 has a DX crop mode that's roughly the same resolution as the D7000's sensor, we wanted to see how the D800 performed in comparison to the D7000. Please keep in-mind, the D7000 does have a slightly higher resolution, although not by much. 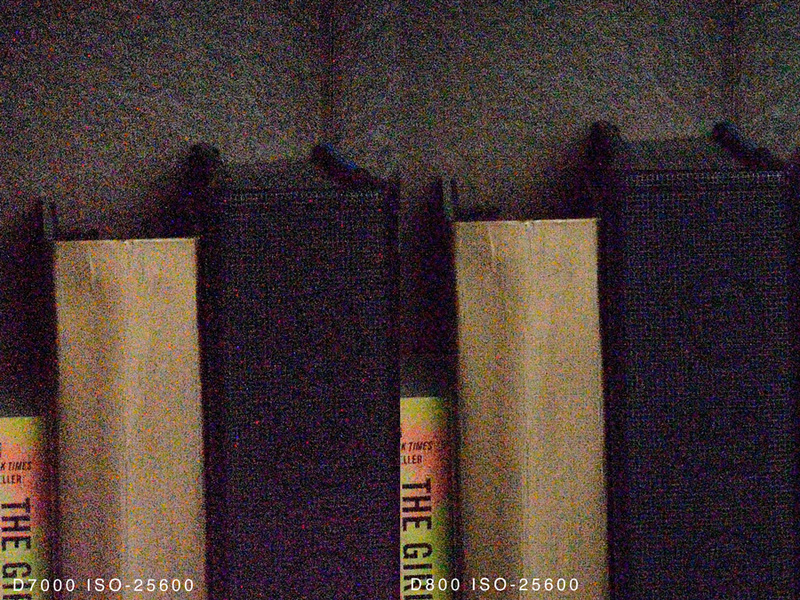 The D800 has a pixel pitch of 4.88µm, while the D7000 has a pixel pitch of 4.78µm, the .10µm is almost insignificant, which means the pixel pitch is roughly the same in both cameras, with the D800 having a slightly larger pixel pitch. This also helps us come to the conclusion that the D800/E sensor is based on a Sony Exmor design, although this is still yet to be confirmed, but is widely rumored to be true. As with the D800 vs. D3s comparison, we shot both cameras at the same respective exposure, ISO, aperture and white balance and set both cameras to the "STANDARD" Picture Control with no additional capture sharpening, contrast, brightness, saturation or hue. Both cameras were shot in RAW(NEF) format and developed into a high-quality 8 bit JPEG format using Capture NX2 with zero High-ISO Noise Reduction. No other sharpening or post-production was performed. 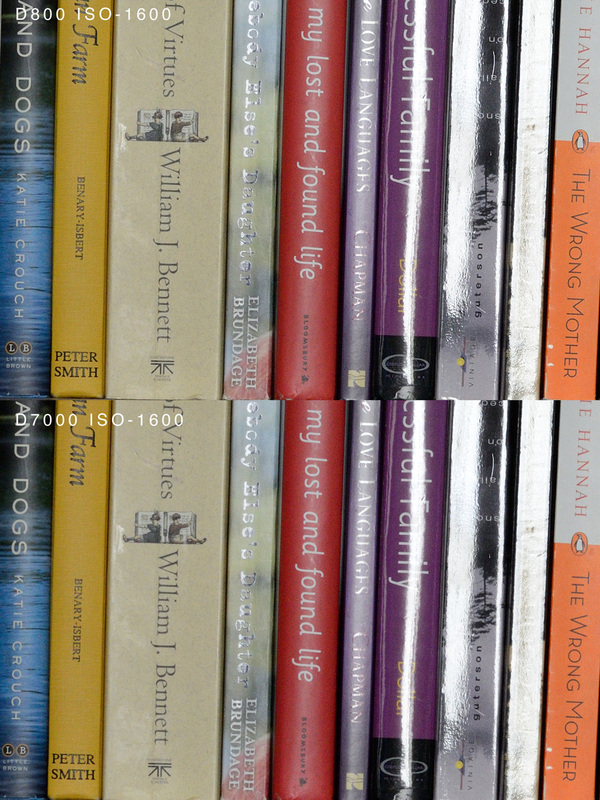 As you can see, the D800 does out-perform the D7000 at every ISO, although in luminance noise, they are closer at lower ISOs. 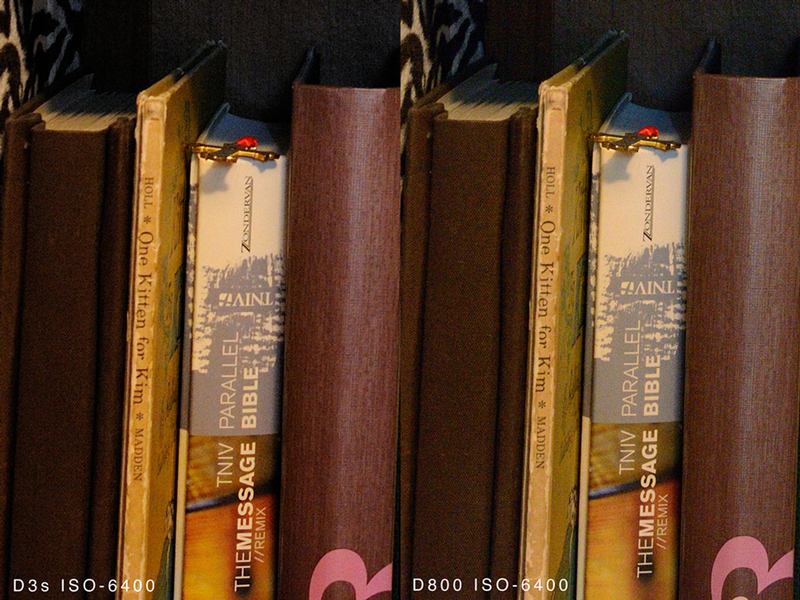 Where the D800 shines is sharpness, micro-contrast and chrominance noise. Even with the D7000 having slightly better resolution, the D800 has much better effective resolution, which shows as a sharper image and better high-frequency detail. Not only does the D800 out-perform the D7000 in detail, micro-contrast and luminance noise, the D800 has significantly less chrominance noise. This is exaggerated as the ISO rises. An example of this can be seen below. The D800's sharper image and more high-frequency detail might point to a weaker OLPF (Optical Low-Pass Filter a.k.a. AA-Filter) on the D800. The D800E would reveal even more sharpness, micro-contrast and high-frequency detail as compared to the D7000, due to its Anti-Aliasing characteristics being canceled-out in the D800E's OLPF filter stack. I've made the full-resolution images available at the bottom of this article, I highly suggest the images to be downloaded and compared full-size, for full-effect. 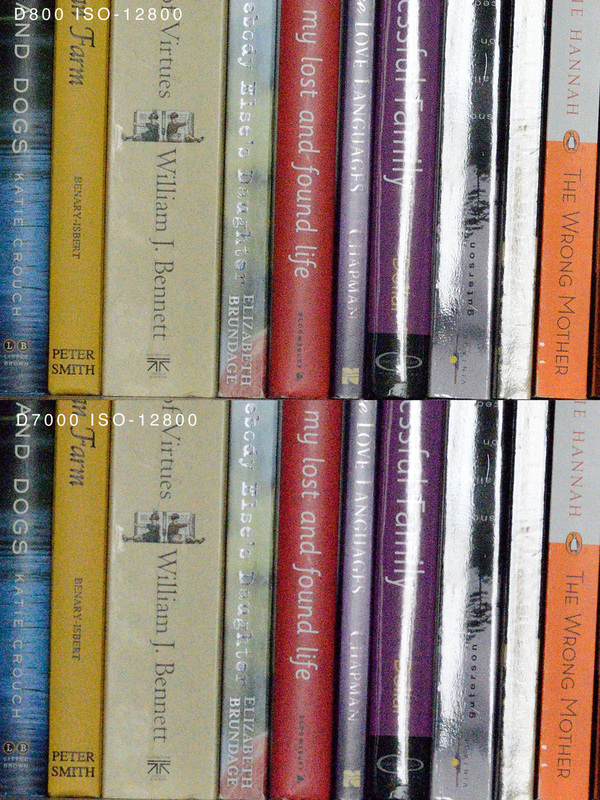 Looking especially at the more finely detailed writing on the book ends. The D800 is an extremely versatile camera that can provide amazing 36.3 MP files in full-frame FX mode, whilst containing the ability to moon-light as the best APS-C DX format camera on the market. The D800/E has several other crop modes as well as the DX crop mode discussed here, which helps to make the D800/E one of the most versatile cameras on the market today. A full review of the D800/D800E and D4 is coming soon as well as comparisons between the D800, D800E, D4 and D3s. This entry was posted in Nikon D3s, Nikon D7000, Nikon D800, [NR] Reviews. Bookmark the permalink. Trackbacks are closed, but you can post a comment.